The yellow vest movement has morphed from anger over fuel taxes to a broad rebuke of Macron, whom critics accuse of neglecting the rising costs of living for many in rural and small-town France. "Yellow vest" protestors tried to storm a medieval fort that serves as President Macron's summer retreat. 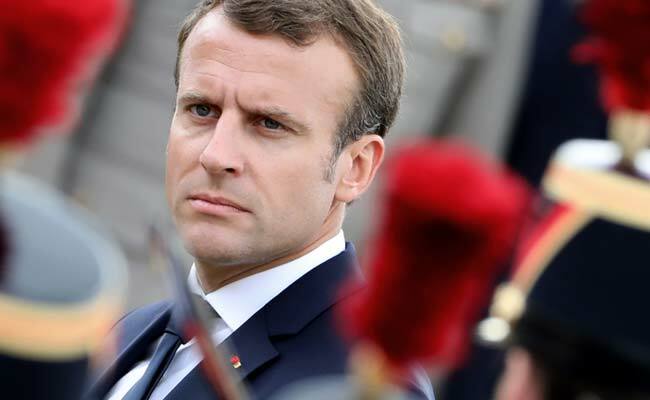 If Emmanuel Macron is hoping for some holiday respite from the anti-government protests which have rocked France, he might want to avoid the presidential retreat along the Mediterranean coast. Around 40 "yellow vest" demonstrators on Thursday tried to storm the medieval fort of Bregancon that serves as Macron's summer retreat before being turned back by police, the mayor of nearby Bormes-les-Mimosas, Francois Arizzi, told AFP on Friday. "It's madness. For people who want more democracy, they should start by respecting other people's property," Arizzi said, saying many of the protesters had tried to infiltrate the fort by crossing private land. He added that some of the protesters had indicated they would try again on Friday. Bregancon generated some unwanted headlines last summer when it emerged Macron was installing a 34,000 euro ($39,000) swimming pool at the fort, which already has its own private beach. In theory the site is currently unoccupied, though the presidency has refused to disclose where Macron and his wife Brigitte are spending the holidays. Press reports have said the president cancelled a planned Christmas skiing trip, possibly at his longtime destination of La Mongie in the Pyrenees, not far from where his grandmother lived while he was growing up. In Paris, where yellow vest protests have repeatedly descended into clashes with police in recent weeks, further demonstrations are planned on Saturday and New Year's Eve. Paris officials have decided to move ahead with the traditional New Year's Eve fireworks display on the Champs-Elysees avenue -- which usually attracts tens of thousands of people -- despite the planned protest.